SAN DIEGO — The Marine Corps is already training to fight a war against a "near peer" adversary such as China or Russia, notably shifting its focus from unsophisticated enemies in the Middle East to those possessing aircraft, communications jamming capability, and unmanned surveillance systems. 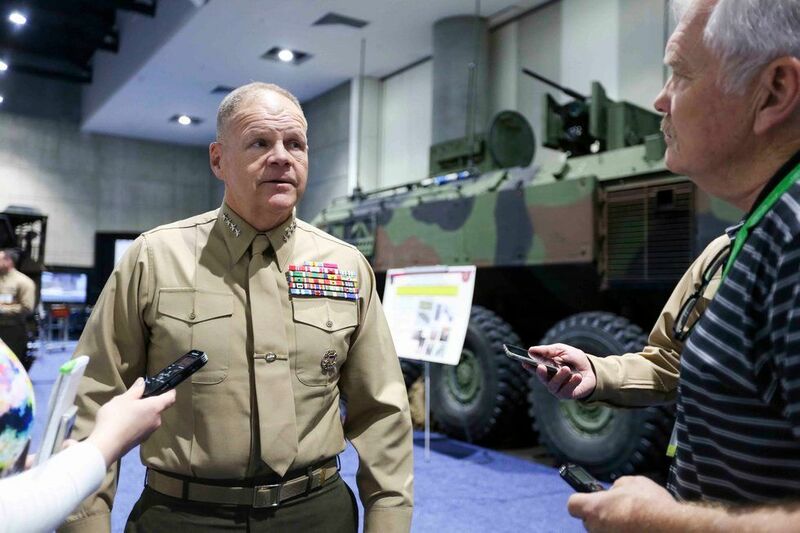 In response to a question from Task & Purpose on whether the Corps was training its grunts to deal with environments where GPS won't work, or one in which enemy aircraft is a major threat, Marine Commandant Gen. Robert Neller said, "the answer to your question is yes. 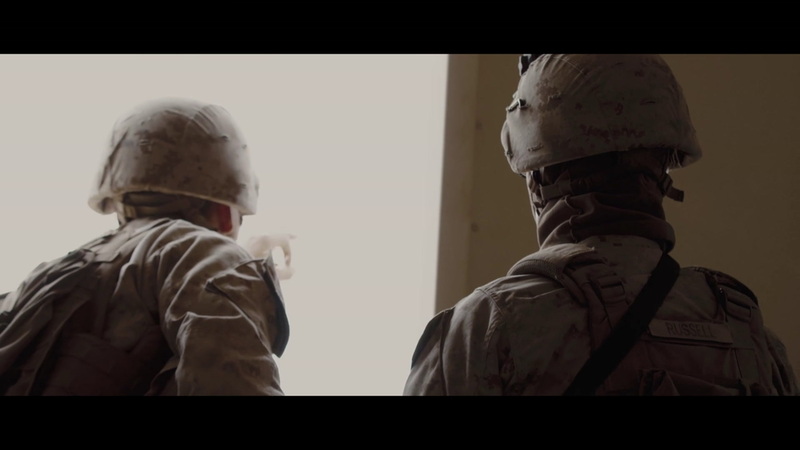 The end of the [integrated training exercise] now is a five-day force on force," mentioning a training event held at 29 Palms, California that most Marines go through prior to deploying overseas. Recently, Neller said, British Royal Marine Commandos were there to serve as the opposition force for two Marine battalions, and they didn't make it easy. 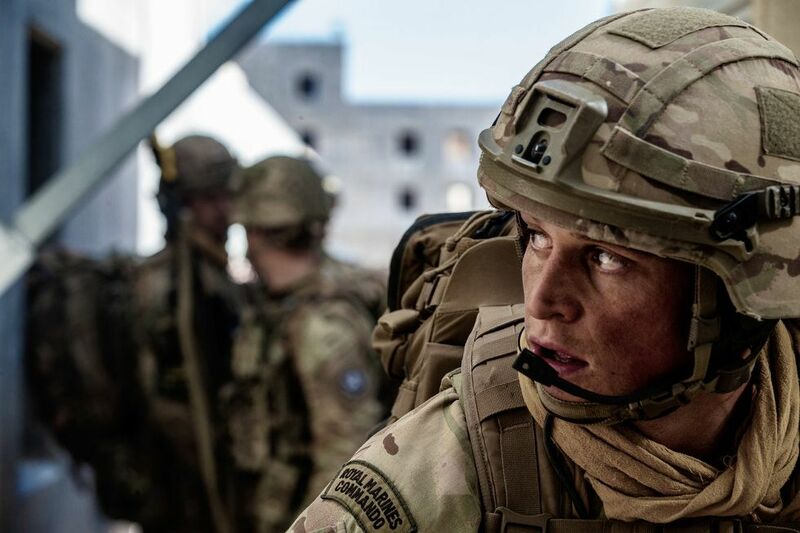 Indeed, Neller mentioned that one battalion did much better than the other against the Royal Marines, but noted the unit that didn't perform as well was early in their training cycle. "They had aircraft. They were able to jam [communications]. We had aircraft. And we fought force on force," Neller said Friday on the sidelines of the 2019 West Conference in San Diego. "Marine infantry now, they've gotta look up" since enemies in Syria and Iraq have increasingly used unmanned aerial vehicles, and near peers will have assets such as attack helicopters, and artillery. The Corps has also been learning what to expect by seeing what potential future enemies are doing firsthand. Troops in Syria have shot down surveillance drones piloted by pro-Assad forces, while U.S. aircraft have encountered Russian jets in the skies above, according to Military.com. They've also dealt with disruptions to their communications and information operations meant to shape public opinion. "We're going to continue to iterate this and you're gonna see more 'red air,'" Neller said, using a term to denote enemy aircraft. "We'll see the aviation [element] have to fight each other, and we've gotta get the electronic warfare in there. We can very easily pull the plug on comms, and we do that occasionally." Besides bringing in the Brits, Neller told Marine Corps Times previously that he was trying to get Canadians to play an opposition force, as well as the U.S. Army. "The Brits were very good at shutting off all their radios, because they went on wire," Neller said. "We used to have wire, we got rid of it. It's all gonna come back." As if on cue, after Neller spoke with Task & Purpose, a pair of reps from Harris Corporation pitched him on a prototype design of one of their radios that were physically linked together in the same way field telephones were, which they said would be useful for artillery and mortar positions. "We have to be able to mask our signature, make [the enemy] elevate theirs, and find them, and then we can target them and maneuver against them to a position of advantage," Neller said. "We're at the beginning stages of this and it's going to get better and better."